Stay with us, for it is towards evening and the day is now far spent. This is how Saint John Paul II’s letter for the Year of the Eucharist begins. The scene of the disciples at Emmaus is a timely one: God who comes to meet us on the path of life. He always comes to bring comfort and, in difficult moments, to restore our joy and hope. 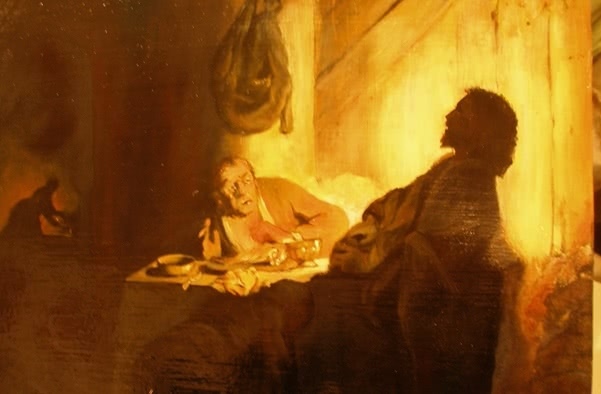 Once he had accomplished his mission, our Lord disappeared and left those two disciples in Emmaus alone—but alone only in appearance, to those who see only with bodily eyes. In reality, he has remained, for everyone and for all time, in the Eucharist, so that the scene at Emmaus is repeated once and again in our lives—whenever we need it. How easy it is to draw close to the Tabernacle when we contemplate the wonder of a God who has become man, who has remained with us! We go to open our heart and be comforted like the disciples in Emmaus. When we go to our Lord with this trust, the Eucharist becomes a necessity for us. It becomes the center and root of our interior life and, as an inseparable consequence, the soul of our apostolate. The fruitfulness of our apostolate depends on our union with Christ. By ourselves we cannot do anything: sine me nihil potestis facere. Each of us knows our own littleness and frequently we experience our shortcomings. Besides, the exhaustion of an intense day of work or the difficulties that we encounter in our apostolate may at times lead us to lose sight of the greatness of our Christian vocation, and the flame that burns in our heart for the apostolate may die out. We grow in our love for Christ through the many acts of Eucharistic piety that form part of the Church’s tradition: the Holy Mass, prayer (whenever possible, done before the Tabernacle), visits to the Blessed Sacrament, meditating on Saint Thomas Aquinas’ hymn Adoro Te Devote, frequent spiritual communions, the joy of discovering Tabernacles when we pass them on the street…. All this is a true encounter with Christ from which we draw new strength for our interior struggle and apostolate. “We need, through our apostolate, to ‘infect’ many others, the more the better, so that they also seek and maintain that unparalleled friendship.” To do apostolate is to put people before Christ: to lead them to a meeting with the Master, as Andrew led Peter or Philip led Nathaniel. Therefore, we have to lead our friends to the places where Jesus passes by, provoking an encounter so that they can be cured like the man born blind, comforted like the disciples at Emmaus, or called as Matthew was. A person who draws close to the Eucharist encounters Christ personally and is ready to receive his call, the same call the first twelve received and so many others who encountered Christ on their path: come and follow me. Saint John Paul II, Apostolic letter, Mane Nobiscum Domine, October 7, 2004, no. 1. From the Prelate, Letter, October 6, 2004, no. 8. From the Prelate, Letter, October6, 2004, no. 8. Saint Josemaria, The Way, no. 917. Saint Josemaria, Furrow, no. 686. From the Prelate, Letter, October6, 2004, no. 36. Saint John Paul II, Apostolic letter, Mane Nobiscum Domine, October 7, 2004, no. 23. From the Prelate, Letter, October6, 2004, no. 35. Saint Josemaria, Friends of God, no. 314. 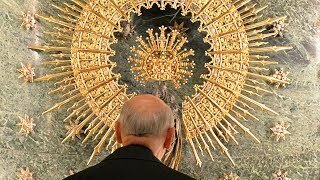 Saint John Paul II, Apostolic letter, Mane Nobiscum Domine, October 7, 2004, no. 26. Saint Augustine, Confessions, 1, 1, 1. Saint Josemaria, Christ is Passing By, no. 105. Saint Josemaria, The Way, 541. Saint Josemaria, Christ is Passing By, no. 153. "Treat him well for me"